Frizz & Tangles can damage your hair, increase breakage and cause split-ends. 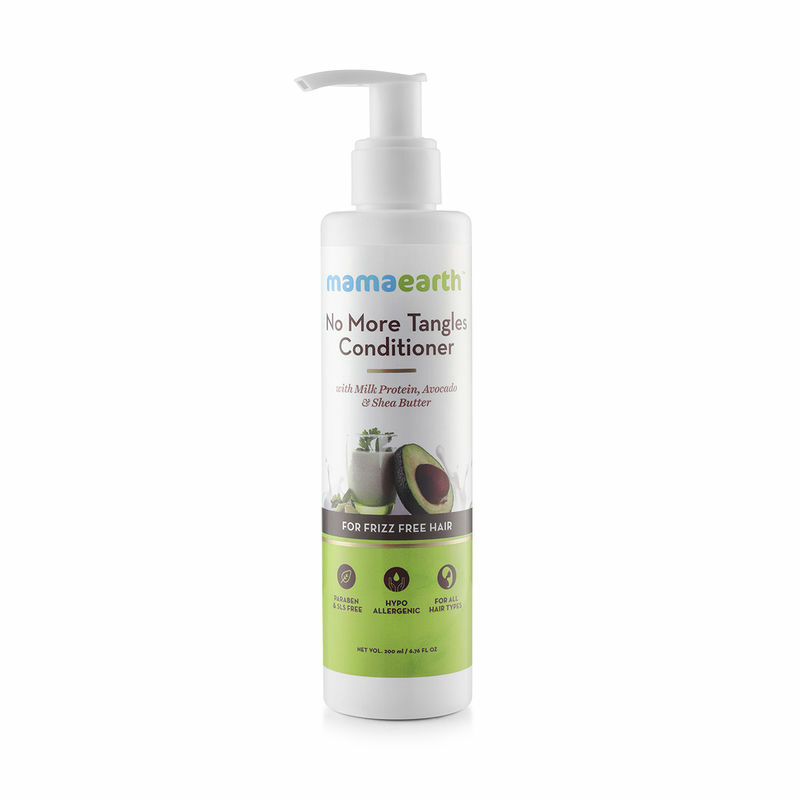 Mamaearth's No More Tangles conditioner is here to help. This wonder is a combination of the most efficacious natural ingredients that will nourish your hair from root to tip. It has Milk Protein to give you naturally soft and silky hair. Vitamin B5 strengthens hair follicles and helps your scalp get rid of dead skin. Cocoa butter moisturizes the hair making them soft and shiny. It naturally stimulates hair growth while calming the nerves of the head and scalp to reduce inflammation and hair loss. Use this one for frizz free and easily manageable hair. Explore the entire range of Conditioner available on Nykaa. 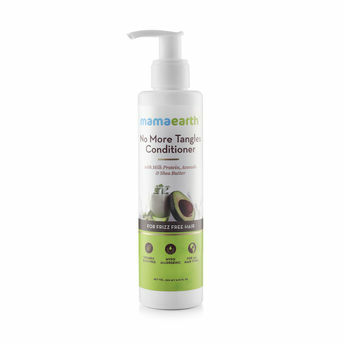 Shop more Mamaearth products here.You can browse through the complete world of Mamaearth Conditioner .